If I would choose among the four seasons in this world, I would choose winter. Why? I just love the feeling of cold breeze touching my skin and I love watching the snowflakes pouring down. This season makes me feel nostalgic about my life during my younger years. As winter comes, holidays are approaching too. During winter time though the weather is cold and sweating is impossible, that shouldn’t be the cause for us to neglect to smell good by wearing some fragrances or colognes that we want to wear. In this article I’ll be listing the best perfume for winter that anyone will love. 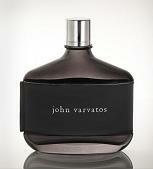 John Varvatos. This scent is one of the best perfumes for winter for men. The smell is a combination of Medjool date fruit, tamarind tree leaves, Indian Ajowan, Auramber, Coriander seed, Clary Sage flower and leather essence. HM by Hanae Mori. Want to smell yummy during the fall/winter season? Then it’s the scent that you would want to try. The components of this fragrance are chocolate, vanilla, lavender, jasmine and lemon. J’Adore Dior. It is one of the best fragrances during winter season. It gives you the smell of a sophisticated and sensual woman. The components of this fragrance are Orchids, Damascus plum, Mandarin, Champaca flowers and Amaranth wood. The One by Dolce and Gabbana. This is for modern, independent and glamorous women. It has a smell of lasting warmth and sweetness of Amberry musk. Want to smell yummy during the winter season? Then try one of the greatest fragrances in my list to smell good and feel good.